Planning permission is the process that you go through when requesting a permit to make a change to your home that may affect those around you. This particular process is relatively easy and applying for a permit is a simple; although negotiating with your local authority can be an arduous task that may take months to settle. There are a variety of reasons as to why you may seek planning permission from your local authority, but before you do you may wish to take a look at this simple guide to property law and planning permission. 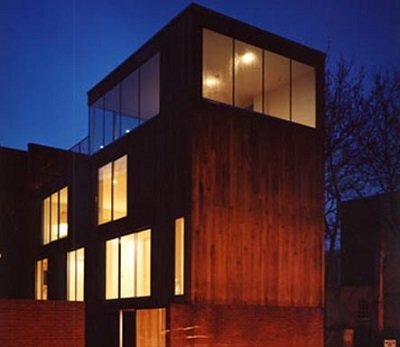 Although you may be making a change to your house; do you need planning permission to do so? If you’re unsure as to whether the changes that you wish to make require approval from the local authority we’ve provided you with a list of reasons as to why you should apply for a permit. If you’re considering building something new you will need to apply for planning permission and give a brief outline or description of what you wish to build. Another reason as to why you should apply for planning permission is if you are making a significant change to a building; an example of this would be if you desired an extension to your house. One other common reason as to why people should obtain planning permission is because they want to change the use of their building; if for instance you wish to turn a building that was originally a home into a commercial premises you will need planning permission. The primary methods of applying for planning permission include writing to your local authority such as your council or applying online. It’s much simpler and easier for you to apply online due to the fact that you can fill out the form and send it instantly through the internet; you can also receive notifications and information through your email address. Once you have sent off your application your local planning authority will evaluate your application and decide upon the outcome; the majority of this process is based upon the development plan that submit with your application. Your local planning authority will not take opinions of those living locally into their decision; they will instead base it upon a number of factors. When your local planning authority make their decision they will have taken into account the number of changes that you wish to make, the size of any extensions or new buildings, the layout, appearance and infrastructure as well as how your planning applications effects the surrounding area. There are a number of circumstances under which you can appeal against the decision of your local planning authority; this includes the following. And finally a decision has not been made before the deadline and your local planning authority have not obtained your written consent to extend the deadline. You should keep in mind that if your original application for planning permission is rejected or refused you should first make an attempt to negotiate with your local planning authority before appealing against the decision. You should also take into account that appeals can take several months before they are settled and you have to appeal against the decision within a set time limit. For more information on planning permission, property law or contacting a barrister directly you can get in touch with us here at Access 2 Barristers Direct; we’d be more than happy to help. Get transparent, clear advice with Access 2 Barristers Direct. Complete a simple online form and let us do the rest.